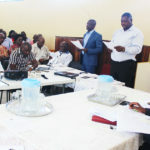 THE Uukwambi Traditional Authority (UTA) has failed to provide concrete evidence that it has indeed consulted the community of Iiheke Ya Nakele before obtaining an environmental clearance certificate for the sand mining taking place in the area since last year. 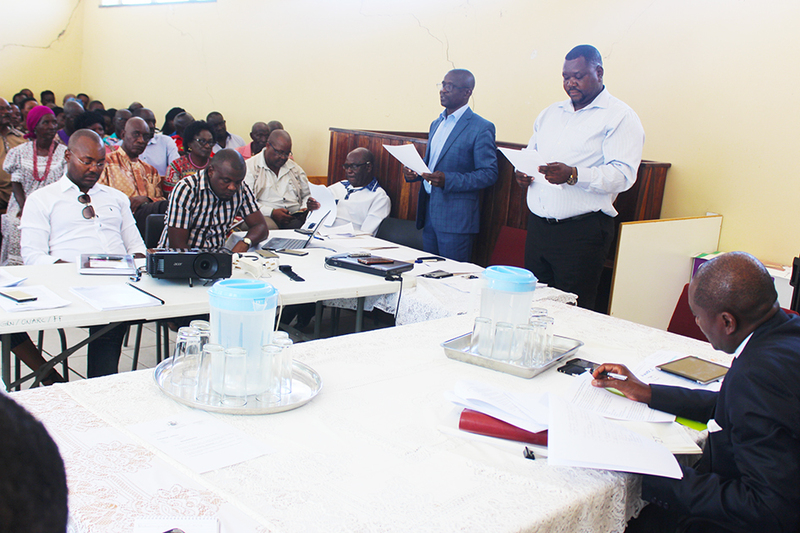 Minister of Environment and Tourism, Pohamba Shifeta, presided over an appeal hearing held at Uukwangula on Friday, where UTA representative, Reinhold Iita, could not give acceptable evidence of when and where the authority met the said community to inform them about the plan to acquire the certificate for sand mining at the Iiheke Ya Nakele site. The meeting dates on documents that Iita handed in during the hearing did not correspond with dates provided in his presentation. Iita also contradicted himself by telling the hearing that community consultations were not necessary as the user obtained the certificate for only burrow pits that existed since the 1970s. The representative of the Iiheke Ya Nakele Community Committee (INCC), Lukas Nantanga, told the hearing that the Environmental Management Act requires the affected community to be properly consulted before any sand mining activities can take place in the area. Nantanga explained that the same Act requires the provision of a list of the names of community representatives who attended consultative meetings, to ensure all key stakeholders, including regional councils and line ministries, were indeed consulted and agreed for the mining to happen. In the absent of such evidence, Nantanga said users obtained the certificate without the consent of the affected community. “We therefore demand for the certificate to be suspend until all the due process on consultations are done,” he stated. Nantanga noted that the UTA and members of the affected community have equal right to decide whether extracting of sand at the disputed land for commercial purposes should continue or not. Shifeta is set to give his judgement on the appeal for an environmental clearance certificate granted for sand mining in the area to be suspended within two weeks. “I am expecting to get their submissions by Thursday and give my verdict in two weeks’ time if there is no delay or any mistakes,” he said.